Give your children the royal treatment! 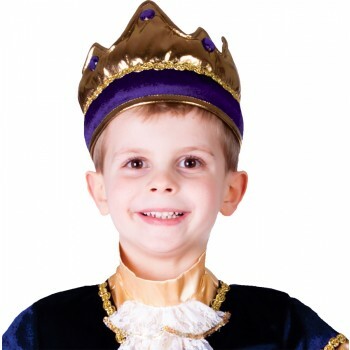 Child's soft fabric crown is made of velvet and lame with gold braid and jewel accents. One size fits all.